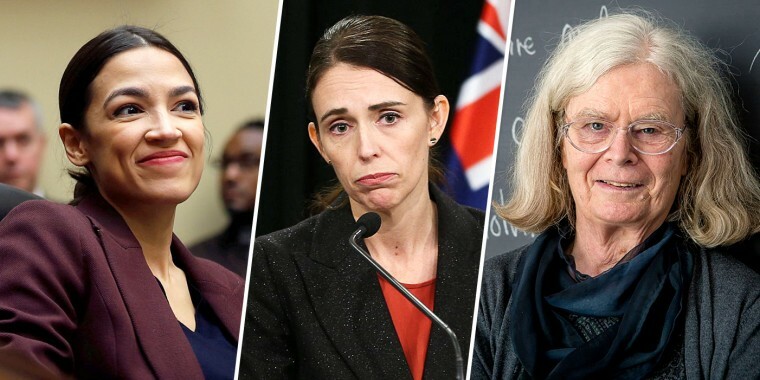 Since the mass shootings last week at two mosques in Christchurch, which left 50 people dead, all eyes have been on Jacinda Ardern, the 37-year-old prime minister of New Zealand. Many have applauded Ardern’s response to the massacre, which has included community outreach dressed in the Muslim-styled hijab. Her government also plans to introduce gun control measures in Parliament next week. Firefighters Jenna Graham, Patty Juergens and Alison Costello formed the first all-female crew at the Mountain View Fire Department in California. Their viral selfie earlier this month helped spread the word about the second annual all-girls fire service camp in the Bay Area, which has a mission to instill confidence in young women. What are the key tools in 'The Confidence Code for Girls'? Dr. Karen Uhlenbeck of the University of Texas at Austin won the The Abel Prize Laureate, a prestigious mathematics honor awarded by the Norwegian Academy of Science and Letters. The announcement on Tuesday marked the first woman in history chosen for the accolade. The Tampa Bay Buccaneers became the first NFL team to hire two full-time female coaches. Head coach Bruce Arians added Maral Javadifar as assistant strength and conditioning coach and Lori Locust as assistant defensive line coach. CNN anchor Dana Bash asked former Colorado Gov. John Hickenlooper, who is running for the Democratic presidential nomination, if he would consider adding a woman to his ticket as vice president. The former Colorado governor flipped the question, even though there has only been one female nominee for a major party. The Wellcome Book Prize, an annual British literary award, aims to celebrate health and medicine in literature. This year’s shortlist was announced this week, and the major theme among the selections is gender. Women have been named to 41 percent of the 85 artistic director jobs filled since 2015, according to a national survey conducted by two Bay Area directors. This article outlines the increase of diverse leadership in the theater industry and highlights some of the new talent and perspectives. Asking for a raise can be intimidating, especially for women, so executive coach Liz Bentley shares some tips on best practices. In order to find the most effective approach, Bentley outlines four personality types of bosses: dominant, influencer, conscientious and steady.